Earn FREE Jewelry! | Seriously $5! 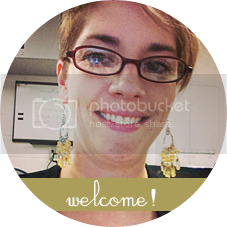 There are several ways you can earn FREE jewelry by hosting a Paparazzi Accessories party with me. Party online! Host an online party on my Paparazzi website. Invite friends and family from all over the country to shop online, and earn 10% of the retail sales from your party in FREE jewelry! Traditional Home Party. You invite your friends to come to your home to view the jewelry and accessories. I'll come to your house about a half-hour before your guests arrive to set up my displays, and you get to shop first. Pick out all the items you think you want. Your friends come and shop for as long as they like. I don't do a big presentation (unless you want me to) and there's no pressure. You earn one free accessory just for hosting the party, one free for having 10 or more guests, AND one free piece for every 10 pieces sold at your party! Basket or Bag Party. I pack up a basket or bag with about 100 pieces of jewelry and deliver it to you. You take it with you wherever you go: home, work, school drop off and pick up, dance class, soccer games, etc. and sell to your friends, family, coworkers, and anyone you meet. After about a week, we meet up and figure out how many pieces you have sold. You earn one free piece of jewelry just for having the party, one free piece for every 10 NEW email addresses/Facebook likes you refer, and one free piece for every 10 items you sell. Facebook party. Are all your friends spread out all over the country? Is it impossible to get everyone's schedule to coordinate? Try a Facebook party. I make a Facebook event and set you up as the hostess. You invite all your friends, then at the set party time, we do the party right in Facebook. I post pictures of items every couple of minutes, and the first person to comment SOLD with their email address gets to buy that piece. I'll run the party live for about 90 minutes, and leave it open for 24 hours so your guests can browse. At the end of the party, I'll send Paypal invoices to everyone who has bought. They will need to pay within 48 hours of when I send the invoice. I'll ship out their items or arrange for pickup, then the hostess will get her free items. You earn one piece just for having the party, one free piece for every 10 items sold, and one free piece for having 10 or more people active in the party (buying or even just commenting and asking questions).